During August of each year, all of our family will look for guest houses that are near the beach. This year we stayed at Summer Blue Guest House in a private room. The bedrooms were very comfortable and they all provided us with exactly what we needed. The staff were courteous and friendly, very helpful and neat. 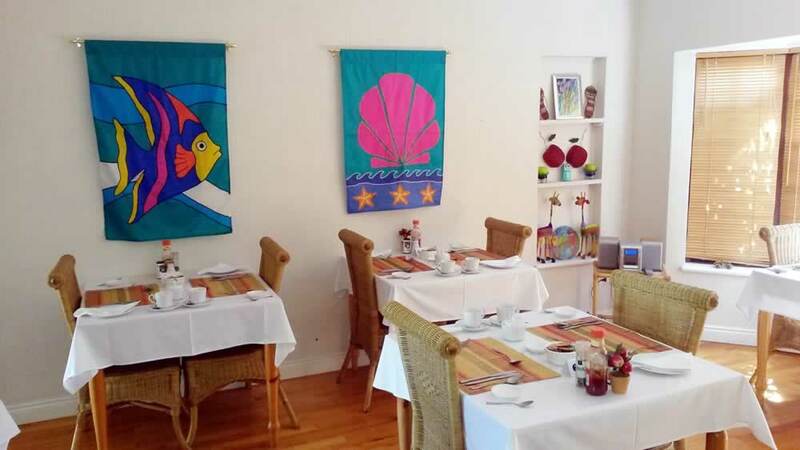 The hotel was very relaxing as it is situated in the quiet, up-market beachfront suburb of Summer strand in Port Elizabeth along with other guest houses, bed & breakfasts and self-catering establishments. It really felt like a home away from home You can feel safe as they have a secure off street parking area and the house feels very secure. We will definitely return for another stay next time we are in Port Elizabeth and will choose a room with a view of the ocean. It was wonderful to wake up to the sea breeze and the smell of the ocean wafting in your window. Summer Blue’s food is delicious, well cooked and served beautifully. The central position of the hotel meant all the attractions of PE we were just a short stroll away and it’s fortunate that the weather was perfect and beautiful and the sun shone all weekend while we were there. It takes less than 2 hours to drive to Addo Elephant Park, Grahamstown, Port Alfred and the numerous other Game Parks in the area. We enjoyed great views and had a great conversation with the other guests who were staying there. It was lovely to relax, have a drink and watch the beauty of the place as the day slowly rolled on. We really loved all the friendly staff and their well-equipped spacious dining room, the fast service of the hot breakfast in the morning was especially woderful. We would definitely stay here again.